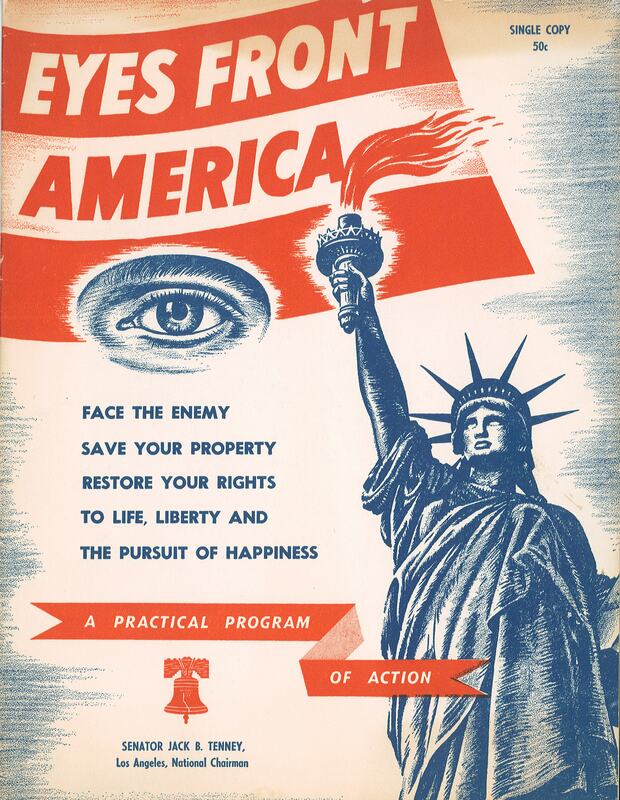 Eyes Front America was published in 1951, to warn U.S. citizens of impending slavery through loss of liberty and property rights, and how they can “fight back against the enemies within the nation” based on the ideals and philosophy of America Plus. Censorship, a growing federal government, the United Nations, and the threat of communism were all presented as tyrannical and threats to civil liberties and the “Promise of 1776.” Included is an envelope and enrollment application to the program America Plus, as well as a form letter to use when sharing the publication with others. Eyes Front America is part of the Arsenal Collection, a growing collection of over 10,000 items issued by extremist or right-wing organizations and agitators dating from the late nineteenth century to the present. ESTC is an ongoing, international, bibliographic project established at the British Library in 1977 to create a machine-readable bibliography of books, serials, pamphlets, and other ephemeral material printed in the English-speaking world from the 1470s to 1800, based on the collections of over 2,000 institutions world-wide. It currently has over 480,000 extensive catalog records in it; the entries provide library holdings information. MSU Libraries is contributing its qualifying holdings to the project; records for 4,372 items in Special Collections have been entered so far. Shown here is the title page of a work found in ESTC owned by our Special Collections, M.T. 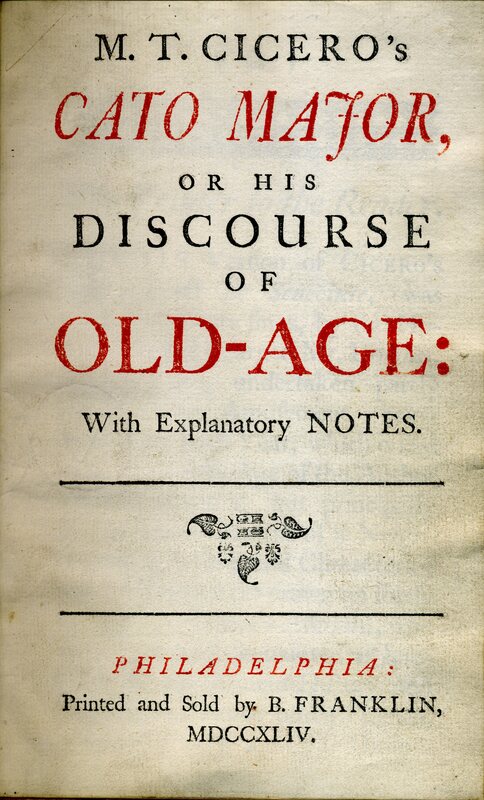 Cicero’s Cato Major, or His Discourse on Old Age…, printed by Benjamin Franklin in Philadelphia in 1744. 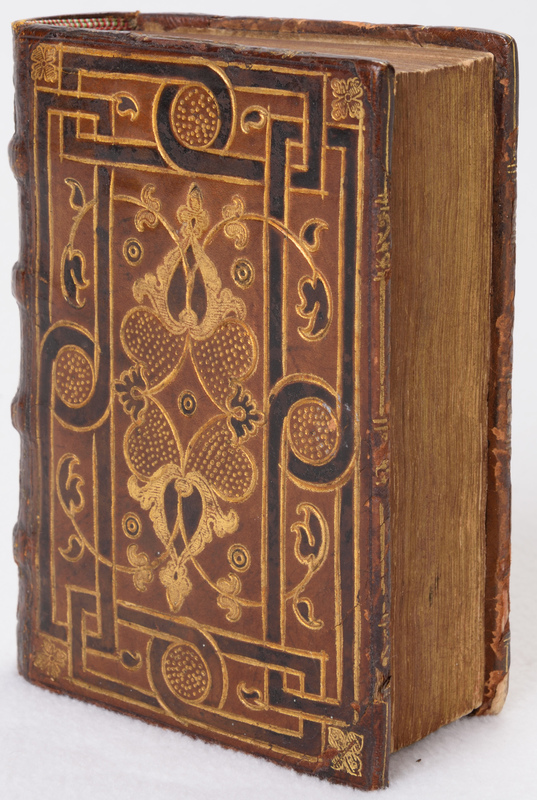 Special Collections is pleased to hold a large collection of books by Gervase Markham (1568-1637) who, in the late 16th and early 17th century, wrote on a variety of topics most relevant to his times: husbandry, horsemanship, archery, farriery, household recipes, hunting, fishing, and the art of war were all topics of Markham's many books. This is not to say he was an expert in any of these fields; indeed, his cures for horse ailments often did more harm than good. Nevertheless, Markham's books were very popular as witnessed by their many editions, and he has been described as the best known writer of his day. 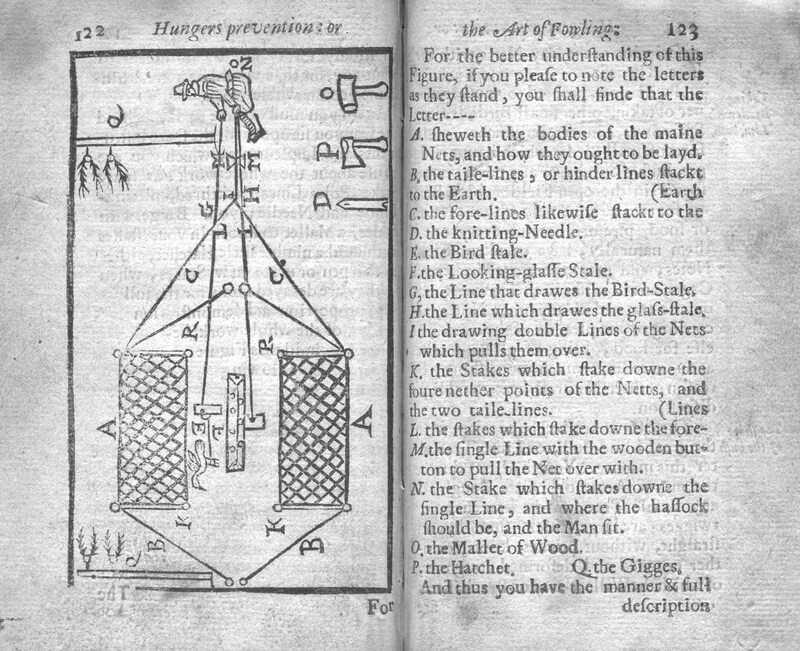 Our latest acquisition is the scarce second edition of Hungers prevention, or, The whole art of fowling by water and land : containing all the secrets belonging to that art, and brought into a true forme or method ..., which provides instructions and charming illustrations for gathering and hunting for food. It is also the first book to describe the existence of flintlock and its use on sitting fowl. Do you have a passion for books? Have you seen the treasures that MSU’s libraries hold? HST 475/ENG 475, a seminar course, will examine the history of books, reading, and printing from the late Middle Ages until the present. Created and taught in conjunction with the staff of Special Collections at the Main Library, the seminar will consider the evolution of print culture by using specimens from MSU’s varied collections. Discussions will emerge from readings on book history as well as on interactions with the librarians who investigate, preserve, and organize the collections. The focus of the seminar will be on print in all its forms: From manuscripts to comic books, from early print to newspapers and mass market publishing. Students interested in intellectual and cultural history, library science, and literature are particularly encouraged to take this course. The course is crosslisted in both History and English, serving students in both CSS and CAL and held on Tuesdays and Thursdays 10:20-11:40, Fall Semester, 2018 in 106A Berkey Hall and Main Library.